President Donald Trump on Friday signed into law an appropriations package that would allocate $674B in fiscal 2019 funds for the Defense Department, USNI News reported Friday. The defense spending bill represents a $19.8B increase from the enacted fiscal 2018 budget and earmarks $24.2B in funds for 13 new combat ships that include three Arleigh Burke-class guided-missile destroyers, two Virginia-class attack submarines and three littoral combat ships. The measure authorizes $250M in funds for the procurement of materials for the construction of an additional Arleigh Burke-class destroyer in 2020 and another $225M to boost the capacity of the U.S. submarine industrial base. DoD will get a budget increase of $1.7B to purchase 16 more F-35 Lightning II fighter jets for the service branches and receive $468M in funds to provide the Navy and Marine Corps with additional V-22 aircraft. 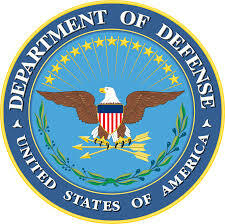 The Pentagon said the bill is part of a minibus measure that would appropriate fiscal 2019 funds for the departments of Health and Human Services, Labor and Education. The DoD appropriations bill supports the National Defense Strategy’s lines of effort including the need to restore readiness; strengthen alliances; and modernize the department.